Turn up the heat with ornamental peppers! 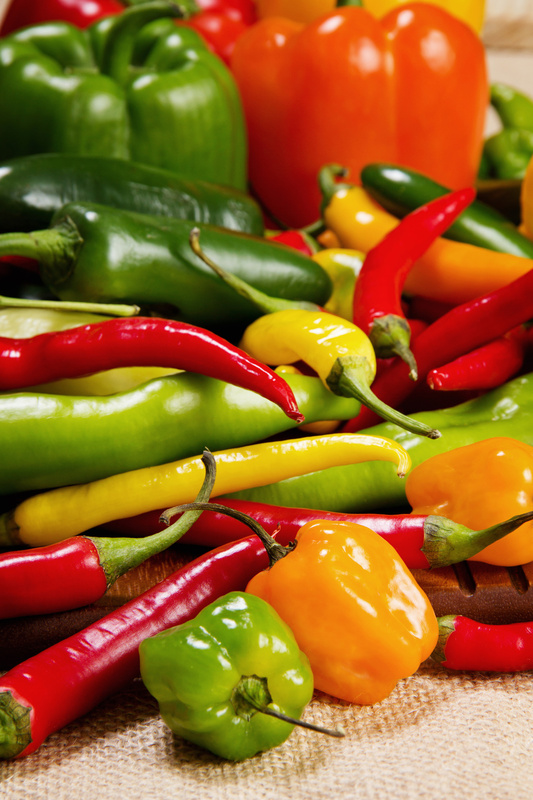 Capsicum varieties are ‘hot, hot, hot’ and include sweet peppers, cayenne peppers, ornamental & seriously real chillies. The taste and ‘heat’ of peppers varies according to varieties – jalapeno chillies are medium to hot & cayenne peppers are seriously hot. The selection of different shapes, sizes and colours of ornamental peppers is constantly on the increase. 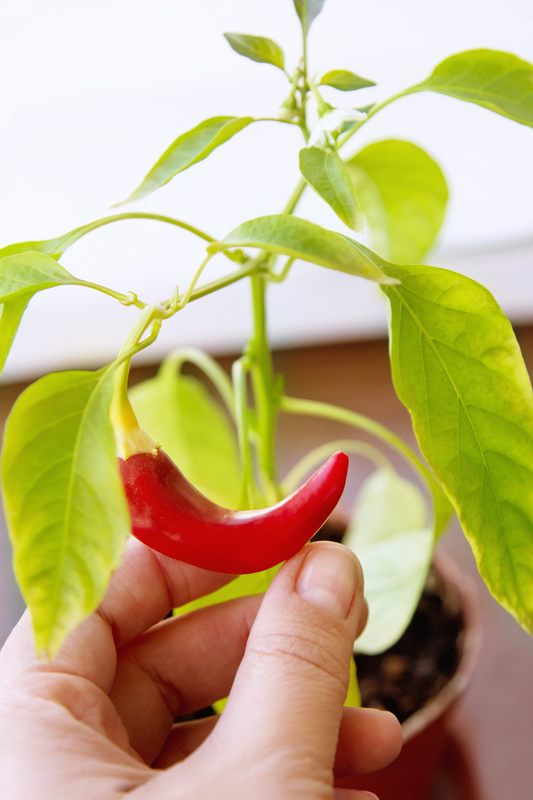 Capsicums offer a small, long lasting indoor pot option that is fun, vibey AND edible! Much like hot peppers grown in the veggie garden, ornamental peppers produce colourful small fruit provided they get enough sunlight. Many ornamental capsicums are grown for purely ornamental purposes, as they are largely unpalatable. Depending on the variety, the peppers appear in shades of white, purple, red, orange, and yellow – often with multiple colors on the same plant. They like rich, well-drained soil and are thirsty plants – be sure to keep the soil moist and don’t allow the plants to dry out. Capsicums are most commonly grown in the kitchen on sunny windowsills alongside other edible herb varieties. They can however be successfully positioned in any sunny indoor location and should ideally be out of gusts and drafts. Position: Chillies need a high light position when kept indoors. They perform well outdoors in a full sun location, both in pots or planted out in the garden. Watering: The soil should be kept moist at all times. When kept indoors water every 2nd day with approx. 2 tablespoons (or ice cubes) of water. Plants in outdoor containers require more regular watering to prevent the soil from drying out.